Retreat sa uskutoční na Kováčovej pri Zvolene. Učenie začne 13.8. poobede a končí 17.8. doobeda. Kurzovný poplatok: 80€ na osobu za celý retreat. V cene je zahrnuté ubytovanie. Je nutné si doniesť vlastný spacák. Stravovanie individuálne, alebo je možné dohodnúť spoločné stravovanie. Stravovanie nie je zahrnuté v cene. Ak chcete prísť IBA na iniciaiu, poplatok 25€. Dána za náuku: každý účastník rieši individuálne priamo učiteľovi. We are happy to anounce upcomming ngakpa retreat with ven. Lopon Ogyan Tanzin Rinpoche, wich will be focused on practice of Dorje Drollo, wrathfull aspect of Guru Rinpoche, from Dudjom Tersar tradition. Retreat will be held near Zvolen, Slovakia in 12-18.august 2015. Retreat will be held at Kováčová near Zvolen. Teachings will start 13.8. afternoon and will end 17.8. morning. The fees for retreat: 80€ per person for whole retreat. The accomodation is included in fees, but please bring your own sleeping bag. The board is individual, or we can have meals together. The board is not included in retreat fees. If you wanna come JUST for initiation, the fees will be 25€. Dana for teachings: everyone will give according to ones abilities directly to teacher. 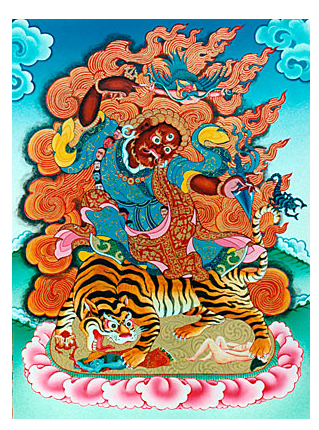 "Guru Dorje Drolo is the crazy wrathful Buddha of the degenerate era. He has no regular pattern to his wrath. He is completely out of order!" He is a manifestation of crazy wisdom. He is an ecstatic manifestation of Padmasambhava, the deity Dorje Drolo embodies the forces of insight and compassion beyond logic and convention. 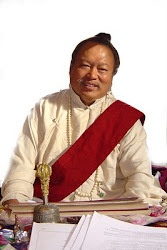 Invoking in the practitioner the fearlessness and spontaneity of the awakened state, Dorje Drolo transforms hesitancy and clinging into enlightened activity. Dorje Drolo's energy overcomes distinctions of life and death, representing instead a continual process of giving birth to new circumstances and possibilities.